Bail collateral is offered in place of or in addition to bail money in order to secure the release of the person who has been arrested. Consider it a form of credit or a loan to ensure that the person shows up in court. Collateral can come in many forms; it can be your house, jewelry or other assets of a certain given value. If you are offering your house, car or other large property item as collateral, the court or bail agent will typically have you place the deed or pink slip in their trust. If it is a smaller item such as jewelry, they will take physical possession and keep it in a secure location until the case is resolved. Collateral will be returned when the case is completed, whether the the person is found innocent, the charges are dropped, the person is sentenced or bail is exonerated. If the individual for whom the bail collateral was offered fails to appear in court at the agreed upon time and date, the collateral will be seized or collected by the court or the bail bond company. The full amount of the collateral may not be returned to the individual if a premium has been put in place when using a bail bond agent. This premium is negotiated between the bail agent and the arrested party or person bailing the arrested person out. Bail collateral will typically be returned within five business days after the individual has paid off all financial obligations and their case has been concluded. Until this happens a bail bond agent can hold the bail collateral. 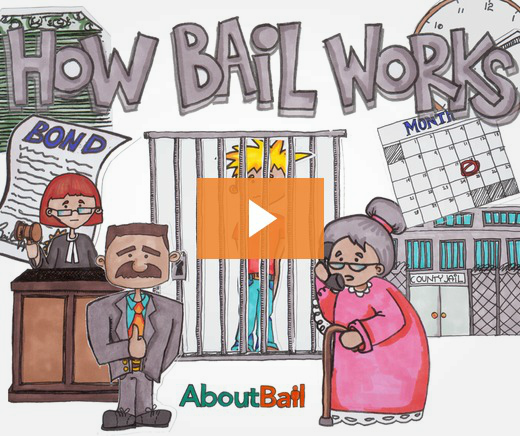 To locate a local bail agent near you who can discuss collateral with you, visit AboutBail.com’s trusted network of local bail professionals. Keep in mind that Illinois, Massachusetts, Maine, Nebraska, Oregon, and Washington, D.C., are all no-bail areas, so you will have to deal directly with the courts.